From the beginning our objectives were clear; provide safe and effective pest control for our clients at affordable rates. We have achieved and continue to achieve our objectives through our high standards and strong work ethic. Gopher Patrol is family–owned and operated and has been performing gopher and rodent control services in the Southern California community for over 20 years. We have a radio dispatched fleet with experienced and knowledgeable technicians and a friendly and helpful staff. We specialize in gopher and rodent control services, residential pest control, and commercial pest control. We offer gopher extermination, rodent trapping and exclusion, mole control, ant and general pest control, bird removal, and squirrel extermination. Gopher elimination, rodent trapping and exclusion, and pest control can be overwhelming to everyone, which is why Gopher Patrol’s friendly staff is ready to assist you with your pest control issues. Call us toll-free at 1-888-4NO-GOPHER for more information about how we can help. You can also fill out our Schedule an Appointment form. Don’t call just any pest control company, call your local rodent and gopher control experts. We have perfected the art of effective gopher extermination and have the tools and experience necessary to make your property gopher free. 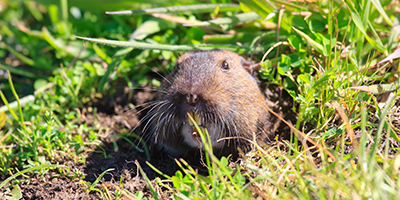 Our technicians have the special training, permits, and licenses to do effective gopher and rodent control. Call us for more information about our gopher extermination methods and our approach to getting rid of rats in your attic. Thank you for considering Gopher Patrol for your rodent and pest problems. Gophers and rodents don’t stand a chance! 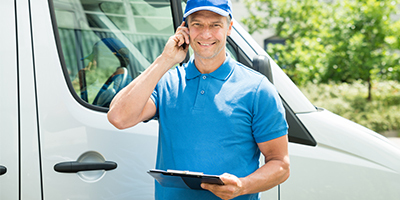 The Pest Control industry has evolved tremendously through the years and Gopher Patrol prides itself on always keeping up with the latest technology and treatment methods. Click here to see a list of counties where our Gopher Patrol and Pest Control services are available. Call 1-888-466-4674 for pest control and gopher control. We provide pest control and gopher control in Altadena, Canyon Country, Carson, Cerritos, Chula Vista, Claremont, Compton, Coronado, Crestline, Culver City, Downey, East Irvine, El Cajon, El Segundo, Escondido, Foothill Ranch, Fountain Valley. Call 1-888-466-4674 to make an appointment for pest control services. Call us today for gopher control, rodent control, and pest control in Gardena, Hawthorne, Huntington Park, Inglewood, La Habra, La Jolla, La Mesa, La Mirada, Laguna Niguel, Lake Arrowhead, Lake Elsinore, Lakeside, Lakewood, Lemon Grove, Loma Linda, Lomita, Long Beach, Los Alamitos. Gopher control is a tough job and Gopher Patrol is here to help. Don’t call “the bug guy” or “the termite man;” instead, call your local gopher control experts who are number one when it comes to effective gopher removal. Rodents in your attic? No problem for our Gopher Patrol team—The Home of the Rat Squad! Call 1-888-466-4674 or reach us online by clicking here.